This massive building was built as a convalescence home for disabled war veterans. 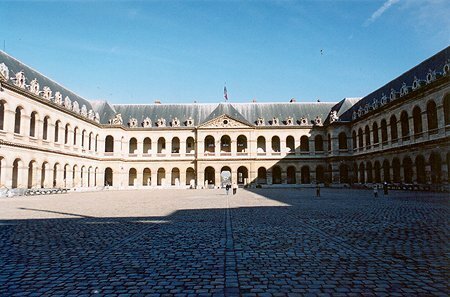 In total it has 17 courtyards and 11 kilometres of corridors in a building of 450x390m. 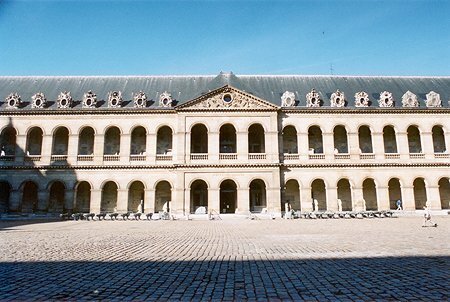 The largest courtyard has magnificent covered walkways. 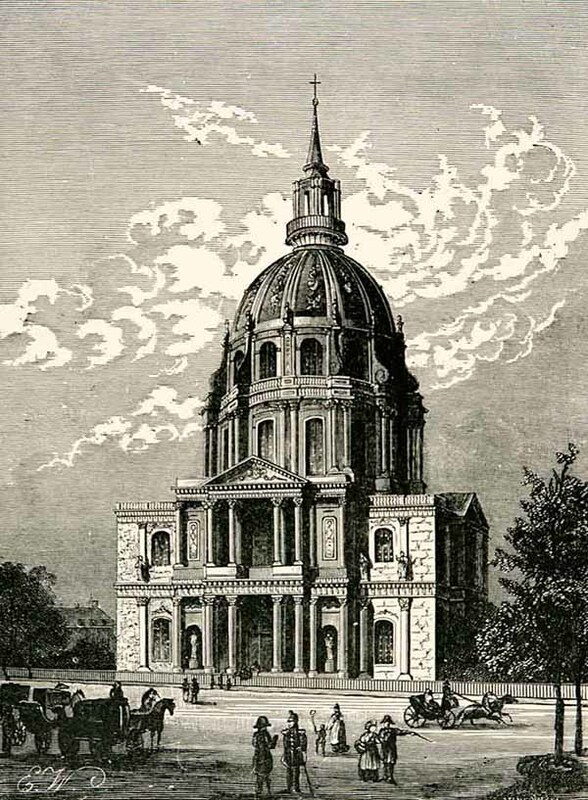 The 70 metres long church was for the use of the soldiers, with the choir contained under the magnificent dome. 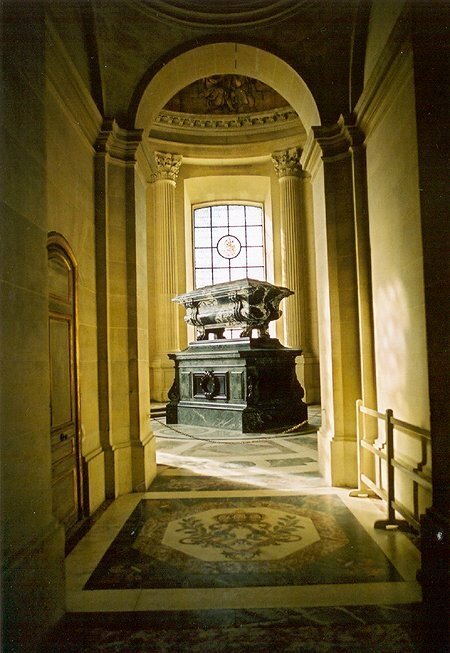 The choir was probably intended as a mausoleum for the Sun King but in 1840 became the tomb for Napoleon. Now mainly a military museum, most of the building is accessible to the public. 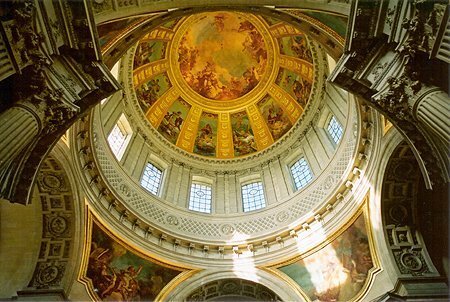 The interior of the choir is dominated by the massive dome soaring overhead. 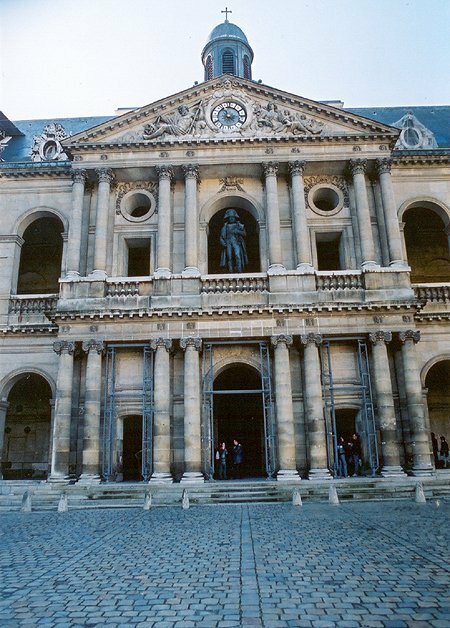 The interior is a two storey square with a greek cross and rounded diagonal chapels with the three layered dome above. The side chapels all contain the tombs of various important figures. 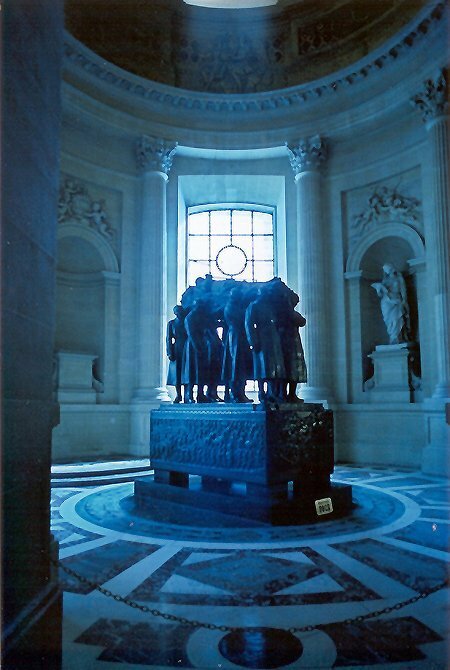 In the centre of the building, a large circular opening reveals the tomb of Napolean set at a lower level allowing the masses to pay their respects from above.